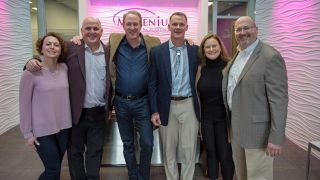 Magenium Solutions will continue operating from its headquarters in Glen Ellyn, IL, a suburb of Chicago. The company will retain all employees. AVI will grow its technical team by almost 50 professionals focused on bringing Microsoft solutions to a rapidly growing client base. Tim Traxinger and fellow managing director, Tom LaMantia, will be joining the AVI Systems leadership team. AVI Systems has acquired Magenium Solutions, a Chicago-based technology services provider with expertise in Microsoft competencies to hundreds of companies nationwide.